Types of toys include but not limited to: DVD Bingo, indoor helicopters, magic ovens, Fantastic Four figurines, action figures, Walk n Rides, Medical kits, doll houses, Amazing Animals sets, dolls, barbies, digital photo albums, interactive dance games, remote control cars, remote control "dragonflies," hovercrafts, leap frog games, board games, stuffed animals and more!. 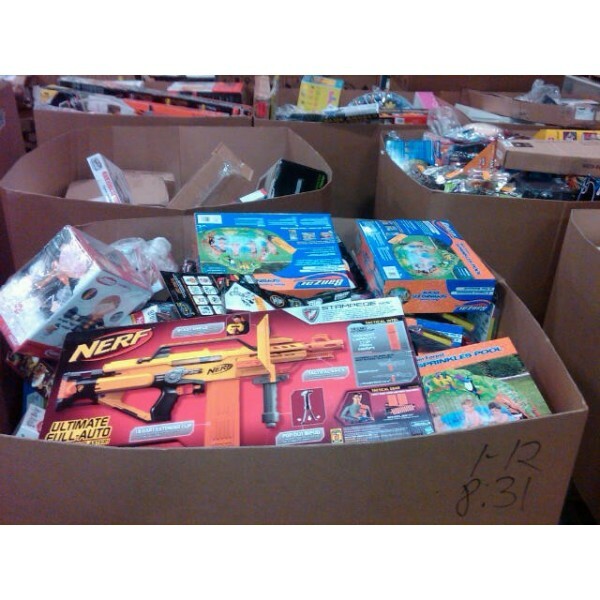 Brands include but not limited to: Disney, Barbie, Tonka, Vigot, Fisher Price, Dora, American Idol, Flytech and more!. 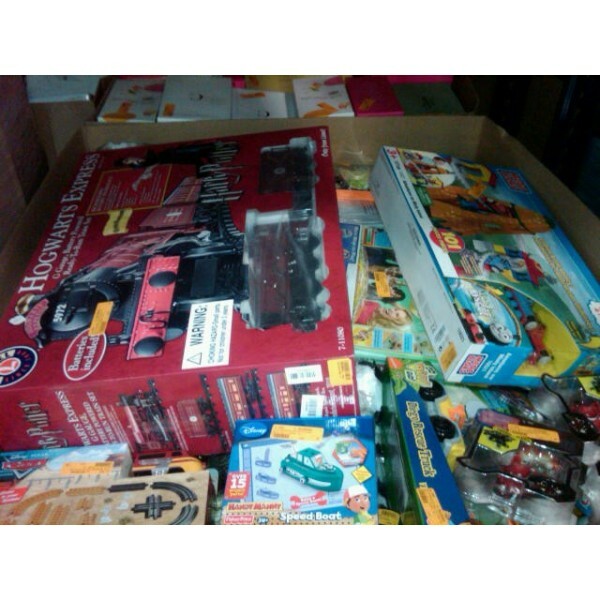 Very high value loads, perfect for discount stores or baby/children oriented shops..